Stephanie Brittain - Maverick Realty Inc.
Stephanie’s understanding of excellent client service stems from more than a decade’s worth of colorful and decorated sales background. As a Broker with Maverick Realty, Stephanie’s approach to real estate is focused around getting to know her clients as real people whose company she enjoys, and taking care of them from beginning to end. After making a few personal real estate investments of her own, she has a real passion for the industry. She thinks outside of the box when it comes to real estate and its various purposes. She is determined and enthusiastic in helping her clients achieve their real estate dreams. 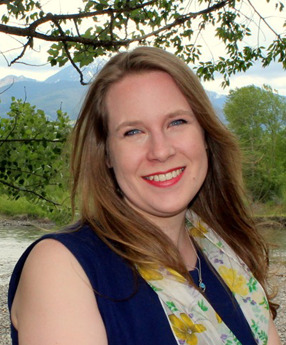 Stephanie attended two years of college at New Mexico State University before moving to Montana from Carlsbad, NM with her husband, James, several years ago. They have adopted Livingston Montana as their home. She and her husband James enjoy the outdoors together including hiking, camping and exploring Montana. She is a history buff and enjoys all the beautiful historic homes in Livingston. Stephanie is an artist in her spare time and has displayed her artwork in galleries in Livingston. She was invited to the White House in 2007 to display her artwork and has had the honor of it being in the Smithsonian in Washington D.C.
Stephanie is the Secretary of the Park County Board of Realty. She is a REALTOR® with the Park County Board Of REALTORS®, the Montana Association of REALTORS® and the National Association of REALTORS®.